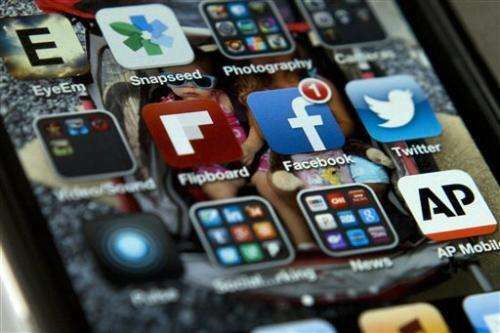 People on Facebook and Twitter say they are less likely to share their opinions on hot-button issues, even when they are offline, according to a surprising new survey by the Pew Research Center. The study, done in conjunction with Rutgers University in New Jersey, challenges the view of social media as a vehicle for debate by suggesting that sites like Facebook and Twitter might actually encourage self-censorship. Researchers said they detect what they call the "spiral of silence" phenomenon: Unless people know their audience agrees, they are likely to shy away from discussing anything controversial. "People do not tend to be using social media for this type of important political discussion. And if anything, it may actually be removing conversation from the public sphere," said Keith Hampton, a communications professor at Rutgers University who helped conduct the study. The survey was conducted shortly after National Security Agency Edward Snowden acknowledged leaking classified intelligence that exposed widespread government surveillance of Americans' phone and email records. Hampton said the Snowden case provided researchers with a concrete example of a major national issue that divided Americans and dominated news coverage. Of the 1,801 adults surveyed, 86 percent they would be willing to discuss their views about government surveillance if it came up at various in-person scenarios, such as at a public meeting, at work or at a restaurant with friends. But just 42 percent of Facebook or Twitter users said they would be willing to post online about it. What's more, the typical Facebook user—someone who logs onto the site a few times per day—was actually half as likely to discuss the Snowden case at a public meeting as a non-Facebook user. Someone who goes on Twitter a few times per day was one-quarter as likely to share opinions in the workplace compared with those who never use Twitter. Only when a person felt that their Facebook network agreed with their opinion were they twice as likely to join a site discussion on the issue, the survey found. Another finding was that social media didn't make it easier for people to share opinions they wouldn't otherwise share. Of the 14 percent of Americans unwilling to discuss the Snowden case with others in person, fewer than one-half of 1 percent were willing to discuss it on social media. Lee Rainie, director of the Pew Research Center Internet Project, said it's possible that social media actually sensitize people to different opinions. "Because they use social media, they may know more about the depth of disagreement over the issue in their wide circle of contacts," he said. "This might make them hesitant to speak up either online or offline for fear of starting an argument, offending or even losing a friend." While many people might say keeping political debate off Facebook is a matter of tact, Hampton said there is a concern that a person's fear of offending someone on social media stifles debate. "A society where people aren't able to share their opinions openly and gain from understanding alternative perspectives is a polarized society," he said. What do you do when Facebook is spying on you?